Spring is looking very bright! We are beyond grateful that Mr. David's Foundation, Superior Ambulance Service and Walsh Construction are Diamond Sponsors for this year's Ball de Fleur. Ron Magers will be our master of ceremonies for an elegant evening benefiting an incredibly important cause. As we continue to raise funds to fight the stigma around mental illness and address the need for behavioral health services, it becomes clearer every day how compelling our mission is to so many people in our community. Thank you for supporting it! We are excited to welcome to our Foundation Board Karen Fitzgerald and Dave Jacobs, two strong community leaders committed to serving people most in need of our help. In addition, Jeff Reinke brings more than 25 years of development expertise to his new role as our Associate Vice President of Major Gifts. If you'd like to learn more or get involved with the work we are doing, please email alexianfoundation@amitahealth.org or call us at 847.385.7300. Thank you, and happy spring! "Words can't express my gratitude toward your outstanding staff. You truly saved my life." provided psychiatric services at the AMITA Health Alexian Brothers Center for Mental Health to 900 individuals who wouldn't otherwise be able to access those services due to state funding cuts and the ongoing budget crisis. supported more than 400 families in learning to live healthy lives with autism spectrum disorders. given 49 families compassionate, intensive treatment to learn to manage mood disorders that occur before, during and after pregnancy. helped AMITA Health Alexian Brothers Health System provide specialized treatment programs that, to paraphrase one individual, help people who are scared and lost to become strong again. Learn more about the work we are doing to transform behavioral health in our community, one life at a time. 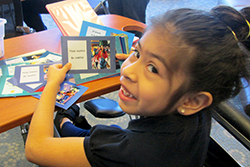 Philanthropy recently helped AMITA Health Alexian Brothers Women & Children's Hospital, Hoffman Estates, purchase GoNoodle, an interactive program to help kids positively channel their energy. 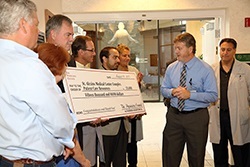 It also helped purchase eight monitors for the Neonatal Intensive Care Unit and Special Care Nursery. 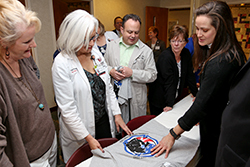 Thirty-two physicians to date have made a commitment to leave a lasting legacy for vulnerable people in our community. 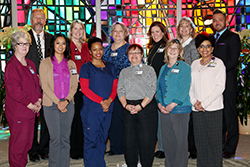 The inspiring physician leaders who are Foundation Physicians Council Lifetime Members generously support the Health Cares Fund in order to address unmet community health needs, including for adolescents and young adults with autism spectrum disorders, adults impacted by HIV/AIDS and homelessness, and individuals with mental illness.